Your healthy and efficient cooling system, without uncontroled bacteria proliferation. Within industry, agri-food, scale is a recurrent problem. 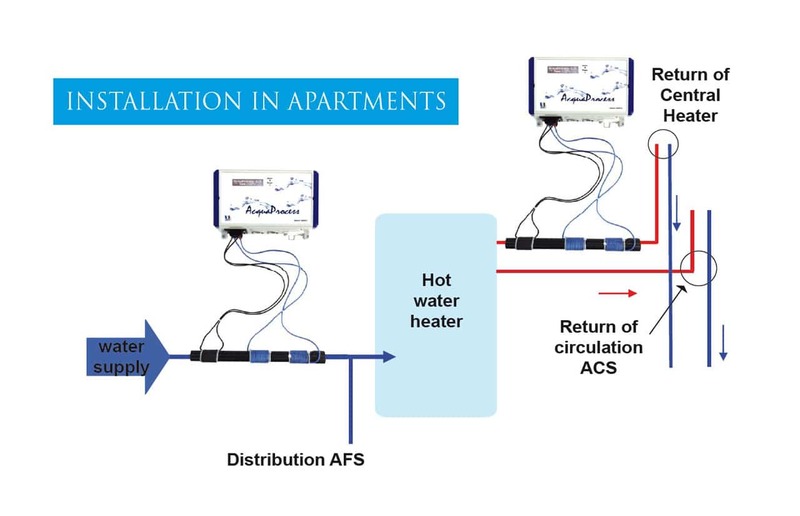 It builds up progressively in hot water reservoir, cooling systems, which pulls along a reduction of the thermic exchange between heating water and cooling water, and energy extra charges up to 30%, sometimes 60%. 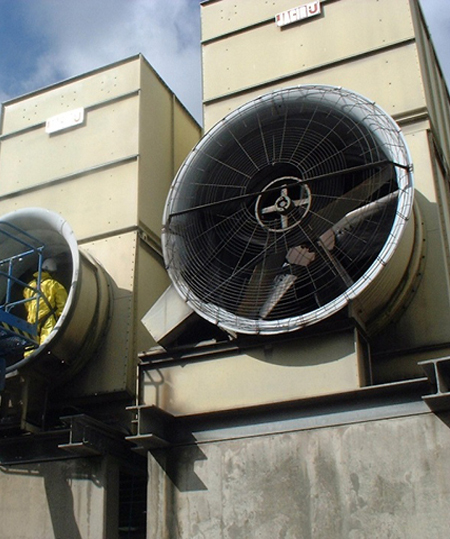 Whether it is for a cooling tower or an evaporative condenser, the water treatment just like installation’s property and maintenance are essential for a proper functioning. Corrosion risks, scaling risks, sediment risks and bacteria growth risks are real, and depend on a clear water. Such risks will have an impact on hot water transfer’s efficiency, and on the functioning costs. A scale accumulation will end up reducing the device’s efficiency, and can provoke a rise of the cooling or condensing temperature, but also a rise of electric power and so a rise of costs. Indeed, scaling doesn’t only depend on calcium carbonate or magnesium concentration in the water. Other factors can stimulate or reduce sediments formation, such as the temperature, turbulences, the runoff speed, water pH or the composition of the water. Our low frequency induction (ULF) process will reduce the consumption of chemicals by 30 to 50%. Safe, healthy and ecological, Acquaprocess helps you to reduce your costs. Limescale is pools’ first enemy. In addition to being non-aesthetic for the pool, limescale can also be dangerous for your equipment and for the filter system. A scaling pool will pull many inconvenient down, such as murky water, white or grey sediments all the walls down, seaweed development… and more, all the disagreement for the bathers, like skin or eyes irritation. Acquaprocess is an equipment usinga ultra low frequency induction process (ULF) to treat water networks. The ULF generator sends a series of signals, variables regarding their frequency or power, and passes this energy to the water thanks to an inductor. Therefore energy modifies the physical properties of the water, by increasing its solubility power thanks to a molecule gathering. ULF process will prevent clogging, corrosion or chloramine formation, while maintaining pH stability. 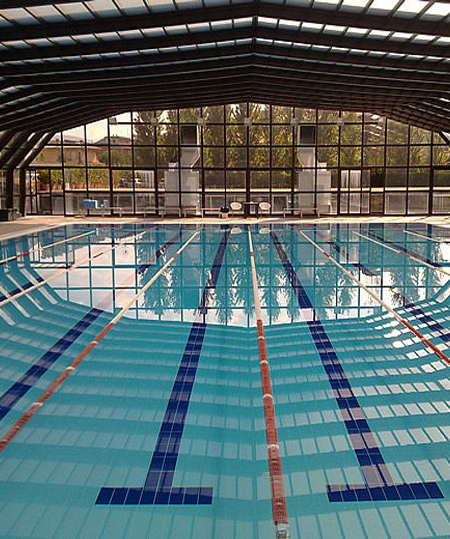 It will make the cleaning easier around the pools and will help you reduce your water consumption up to 30%. 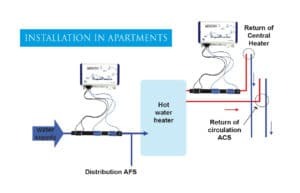 Acquaprocess protects the water circuit and connected equipment against scaling and corrosion. Acquaprocess maintains optimum thermic exchanges and preserves your water heater lifespan. Our Acquaprocess system can also fit for building, collective ownerships, clinics and retirement homes, for a good water treatment. 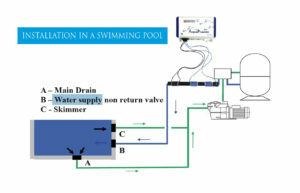 Without any modification of the system, Acquaprocess installation takes place in 3 different places. 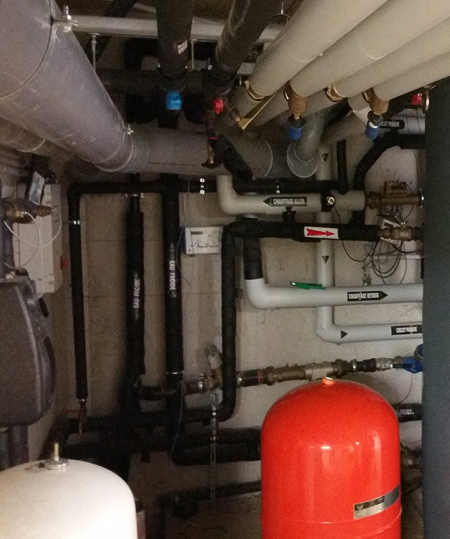 A first device is set up on the cold water supply, a second one is set up on the sanitary hot water system and the last one can be set up on the general heating system. If the systems are close to each others, one device can be used for two circuits at the same time. Acquaprocess will protect water circuits and other equipment against scaling and corrosion. It will reduce your maintenance needs a lot. As a curative device, it will destroy biofilm and limescale. Finally, our system will prevent bacteria formation and mud formation. Acquaprocess can fit for collective owernships with hundreds of housings, but also for self-contained accommodations. Satisfied or your money back the first year !